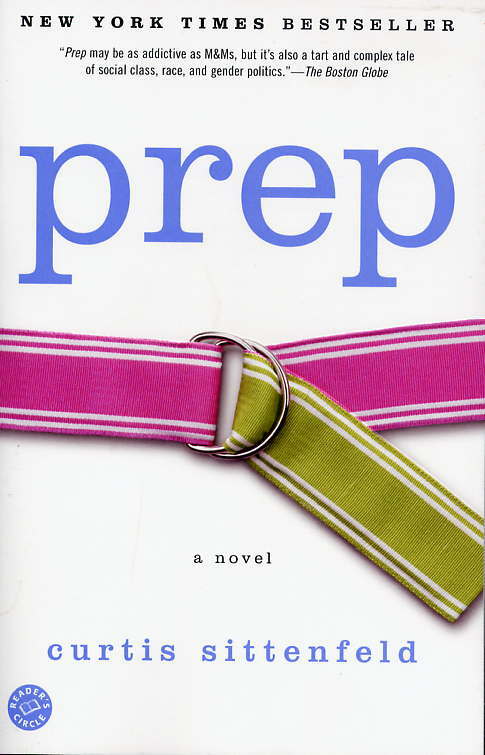 Title & Author: Prep by Curtis Sittenfeld. Three Sentence Summary: Lee, 14, is enrolled in an über-prestigious East Coast boarding school—not because her parents want her to, but because she filled out the application herself. A perfectly manicured campus, rigorous academics, and a class of privileged and aloof peers. Once she arrives, Lee feels completely alone. She is a hilariously subtle observer of the beautiful and rich, and identifiable in her friendships, boyfriends, and just being-a-teenager angst. If I were trying to get a friend to read Prep, I’d be sure to mention: that Lee is the best.protagonist.ever. Without trying to, she makes me laugh hysterically at how she describes her classmates and her surroundings in general; she’s so real that it makes the strange boarding school world seem that much more pompous. If I could give Lee some advice, I’d tell her to: have more fun with it. Sometimes she got so down because she didn’t feel very connected to anyone at first, and I wish I could have told freshman Lee that everything will work out! I would also tell her to ditch her boyfriend (who’s not really much of boyfriend) senior year…although I loved reading about her relationship drama! If I were stuck with Lee on a deserted island, I would probably: end up listening to all her woes, and then laughing about them. I would especially recommend this book to readers who like: boarding schools and wittiness. If you enjoyed E. Lockhart’s The Disreputable History of Frankie Landau-Banks, then you would fall in love with Prep. Smart girl, mean girls, good-but-not-so-good guy. Plus some interesting socio-economic stuff, which you can skip if you want to. The cover was awesome because: emblazoned across it is the epitome of prep- pink + green + stripes, all on a belt to wear with your matching polo. Bonus factor: I don’t know about you, but ever since I was 10 and saw this film, I was mildly obsessed with attending a boarding school. I’ll admit that this dream was altogether thwarted by Sittenfeld’s novel, there’s still something about the image of an ancient, ivy covered prep school that gets me every time. This entry was posted in Read This! and tagged boarding school, Book Reviews, lean mean teen reviews, prep, realistic fiction, Teen Book Reviews on November 15, 2012 by pushtotalkteens.